3. #ThePaparazzi falling behind after dumping salt on the ground. 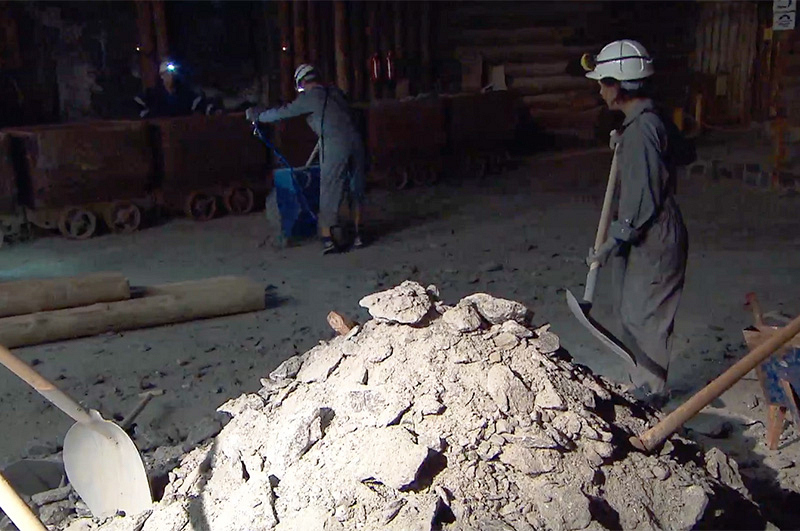 In the "Mine" Detour, teams had to descend 1,000 feet into a salt mine. Once there, they had to carry a large timber support beam to a loading area, then fill a mining cart with salt and push the cart back through the tunnel. While most teams worked well together to lift the heavy loads with both hands into the cart, Chris dumped all the salt onto the ground, thinking he couldn’t shovel it all into the cart alone. He continued the less-than-efficient method while Logan simply scratched her head out of confusion and frustration. Although they eventually finished, the inefficiency cost them valuable time.